Black Friday is a great time to purchase a NAS, some hard drives, and other useful accessories. Whether you're looking for a new server to set up Plex or super-fast storage to act as cache, we've got you covered with some killer deals. But you'll want to act fast; these deals absolutely will NOT last. QNAP's TS-328 is a unique NAS in that it doesn't have an even number of bays. You'll be able to install three drives, utilize the Realtek Quad-core ARM CortexA53 CPU, and enjoy a mid-range setup with 2GB of RAM. Overall, this QNAP NAS has everything you'll need to get started. Not only does QNAP house an Intel Celeron processor inside the TVS-951X-2G, but the company also added a total of nine drive bays. That's five 3.5-inch bays for NAS-rated drives and a further four 2.5-inch bays for speedy flash storage. You can also upgrade the factory installed 2GB RAM and hit a maximum 32GB for more intense NAS operation. Samsung's 850 EVO series of SSDs offers great value, especially at this price. Read and write speeds are 550MB/s and 520MB/s, respectively. The 850 EVO also comes with a rated 2,400TB TBW (terabytes written) and will last longer than previous generations, which is handy for NAS storage when you're continuously accessing drives. Should you be outgrowing the speeds offered by traditional mechanical drives, it may be time to make the move to SSD. While flash storage allows for vastly superior transfer speeds, you need to factor in cost and lower capacity. Crucial has its MX500 500GB SSD on sale right now, making it a great time to pick one up for a small file storage NAS. SSDs come in all shapes and sizes, and if your NAS has support for M.2 storage, you can fetch for the Intel 660p SSD, which has rated read and write speeds of 1,800MB/s. Comparing that figure to SATA SSDs listed above clearly shows the advantages of moving from a SATA bay to an M.2 module slot. Need super-fast storage or cache? This is an ideal purchase at this discounted price. This is for when only the largest M.2 will do. This 2TB M.2 660p SSD from Intel is identical to the above drive, but it comes with 2TB of capacity instead of just 512GB. When making the move from a mechanical drive, this option may be more appealing, at least if you need decent space to store countless files. 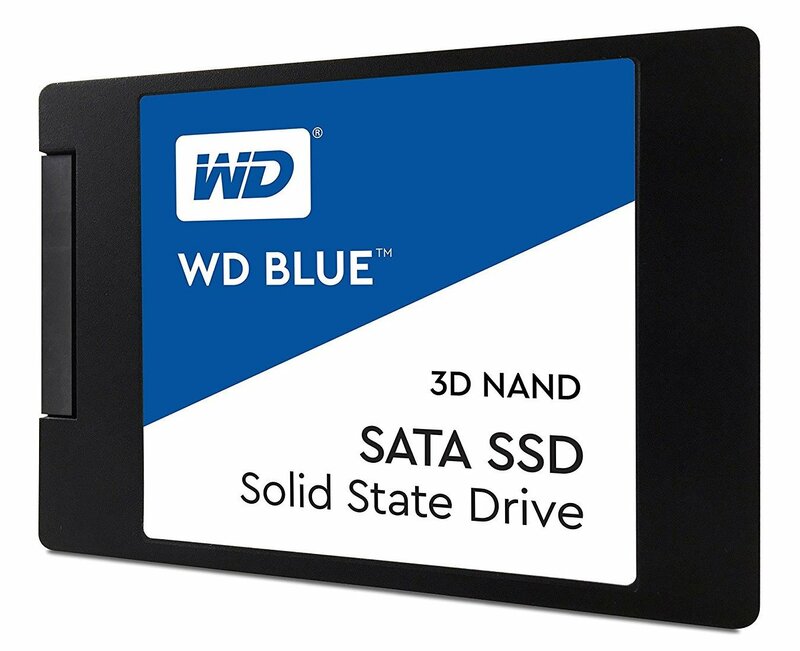 Western Digital highlights just how energy efficient the current Blue 3D NAND series of SSDs can be, which can be a factor NAS owners consider for drives due to most servers running continuously. Pricing and speeds are in keeps with other SSDs at this price from other vendors. If you don't need much storage space on your NAS SSD, Toshiba has you covered with the OCZ TR200, which comes with a capacity of 240GB and is well priced to make the upgrade to SSD less harmful to your budget. It's also fairly speedy, considering the price, and matches drives that are double the price. We recommend the use of NAS-rated drives for continuous operation, but if you don't fancy picking one up and would prefer to use well-built desktop class drives, Seagate's BarraCuda series is a stellar example of mechanical storage done right. Not only can you enjoy 8TB of storage space, but also 256MB of cache and hardware-based security measures. Just like Seagate's BarraCuda series of drives, Toshiba has a family of drives that offers some serious performance without the cost of flash storage. 5TB is also a great amount of storage for a server if you don't plan on really hammering the drive 24/7. Toshiba also includes a two-year limited warranty for additional peace of mind. 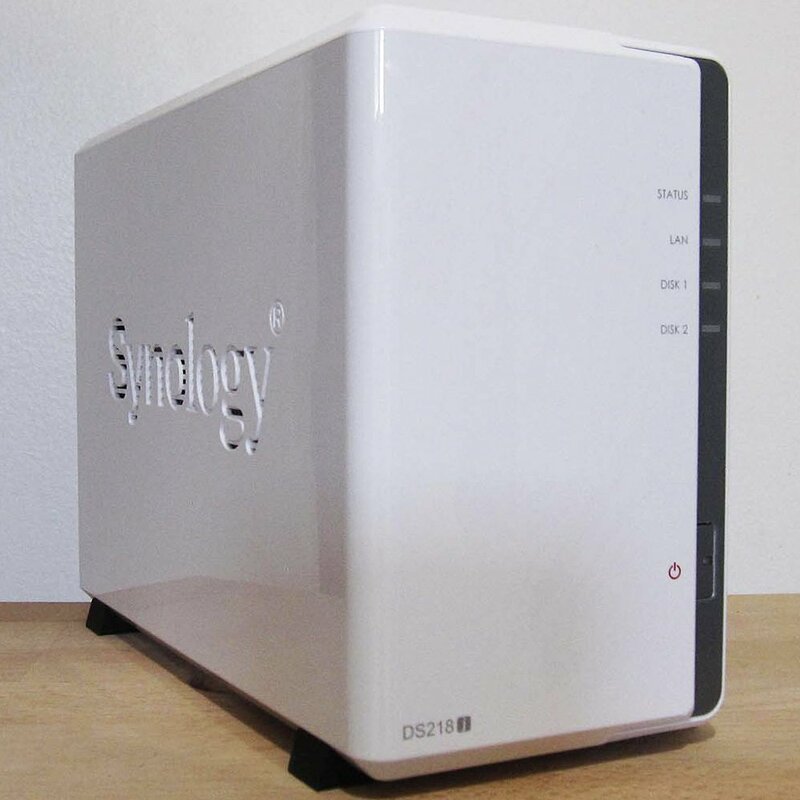 The DS218j is an entry-level NAS so it's designed for more basic use at home and as a sort of personal cloud. Once setup, you'll be able to access the NAS from anywhere using mobile apps on iOS, Android, and Windows. This DiskStation is much like the others but has a huge six bays. You're probably not going to need this unless you just have a ton of media, like a professional photographer or video editor. These are some excellent choices for your next NAS and storage to install within the unit. If you have an available M.2 slot, picking up the Intel 660p Series M.2 2TB SSD takes your NAS experience to a whole new level.